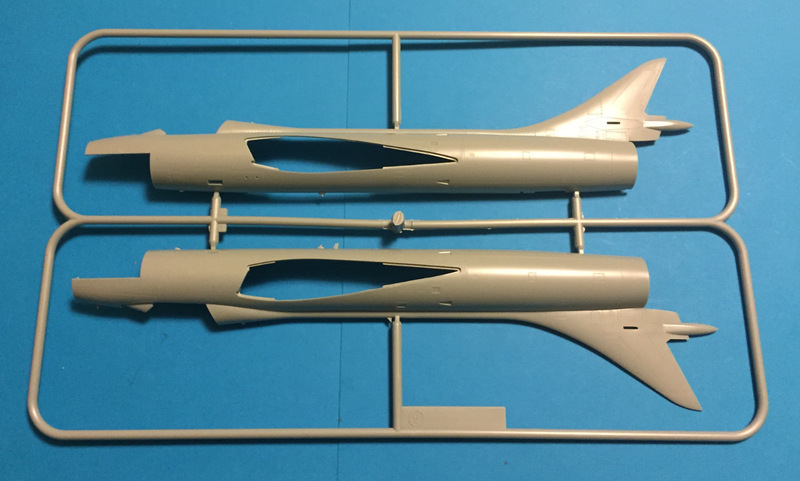 Internet Modeler Academy 1/48 Hawker Hunter F.6/FGA.9 "RAF & Export"
Academy 1/48 Hawker Hunter F.6/FGA.9 "RAF & Export"
Hawker Aircraft developed the Hawker Hunter for the RAF (Royal Air Force) during the post World War Two period of the late 1940s-early 1950s. It was designed to take advantage of the emerging swept wing technology and it was powered by Rolls-Royce's new Avon turbojet engine. The Hunter was Hawker's first jet powered aircraft ordered by the RAF and on September 7, 1953 it broke the world air speed record with a new speed of 727.63 mph. 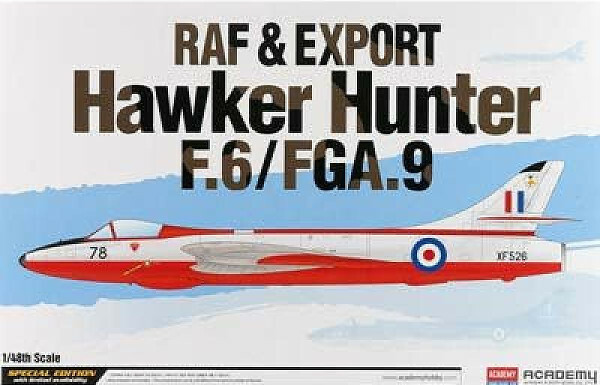 The elegant and graceful Hunter, a long standing favorite of postwar RAF modelers, entered service in 1954. It replaced earlier jet fighters such as the DeHavilland Venom and Gloster Meteor, and it was also widely exported, serving with over 20 overseas air forces. The Hunter was a long-lived aircraft, finally retiring from service in 2014! The Hunter comes in Academy's customary stout box with a computer generated color profile on top. 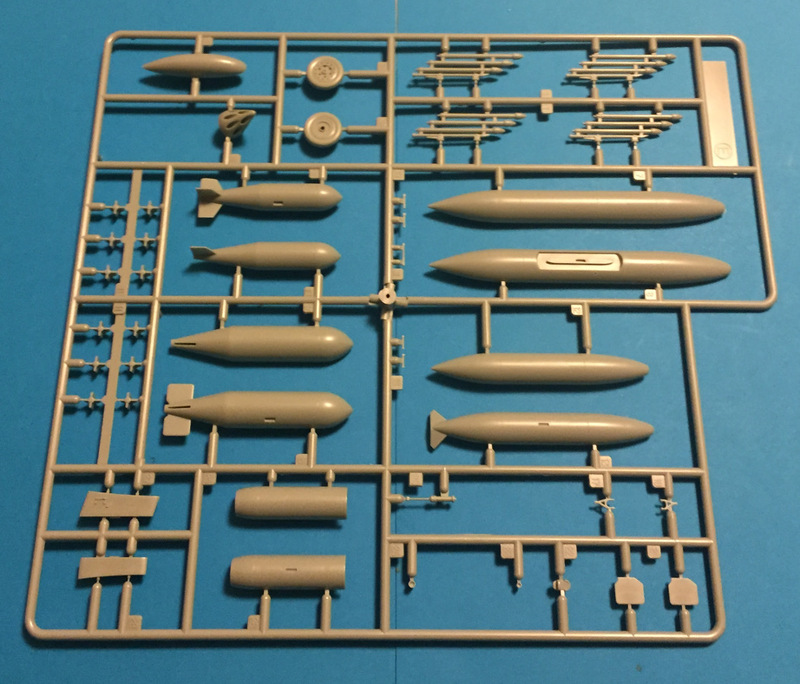 It consists of 140 parts on 7 sprues, one of which is clear. My initial impressions of the kit are positive. 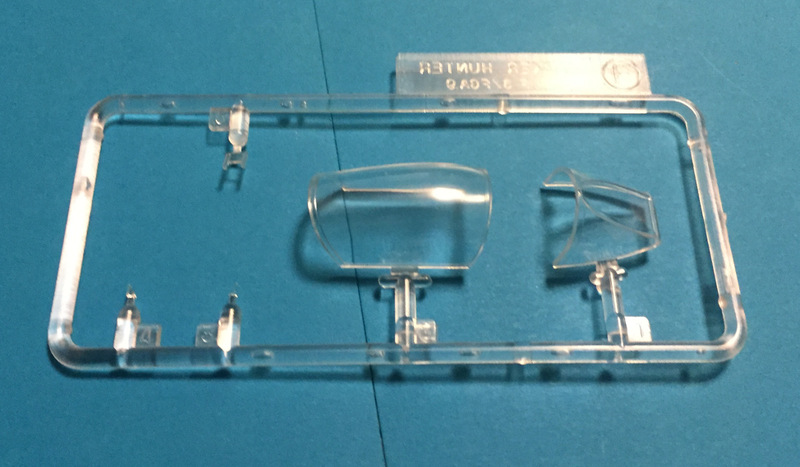 The clear parts are very well molded. 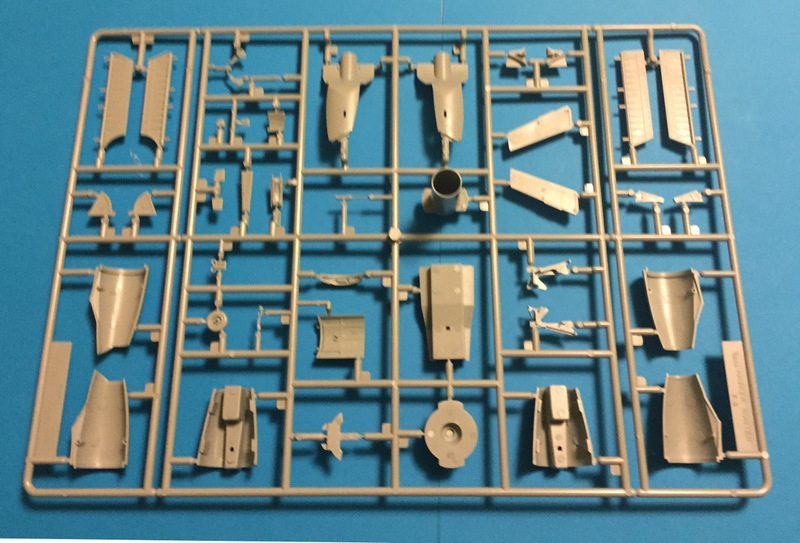 The parts are flash free, and very well molded. Sink marks are minor; there are a few on the wings-that correspond to standing detail in the underside wheel wells-and are confined to the under wing pylons. There are ejector pin marks on the inside of the landing gear doors. If you have a punch set, you can cut some disks out of thin styrene to fill those pin marks. 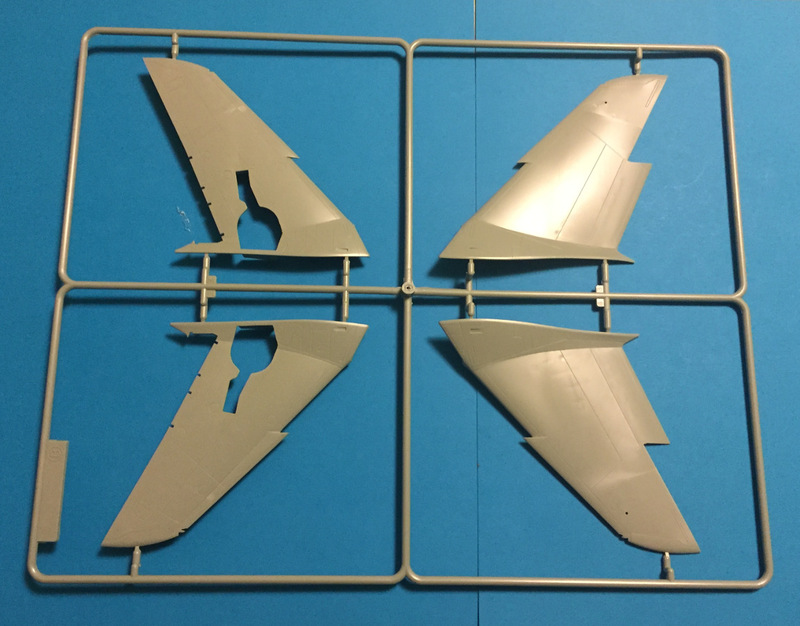 But, the landing gear doors have raised rivet detail to preserve, so an alternative might to simply sand the doors flush and replace the rivets with raised rivets from Archer, an excellent product. Surface detail is by way of fine recessed panel lines, and some well done rivets. The Hunter's cockpit was a fairly busy office and the kit's interior is rather simplified. I would recommend an aftermarket resin ejection seat, at minimum. Detail parts like the landing gear, landing gear doors, wheel wells, air brakes, etc. are well executed. 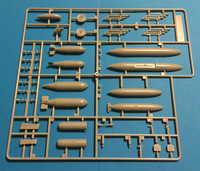 Academy's instructions are very well illustrated, with parts map, a logical build sequence, and color callouts for popular model paint brands Humbrol (enamels and acrylics), GSI Creos (Acqeous Hobbycolor and Mr. Color), Lifecolor, Testors/Modelmaster (enamels and acrylics), Revell (enamels and acrylics), and Vallejo (Model Color and Model Air). "Black 78," 4FTS, Hawker Hunter F.6, XF526/78, August 1979. This flamboyant plane was white, red and aluminum. RAF 56 Squadron, Hawker Hunter F.6, XF526/C, 1960. Dark Green and Dark Sea Gray over aluminum. IAF 20 Squadron, Hawker Hunter F-56, BA360A, 1970s. Dark Green and Dark Sea Gray over aluminum. 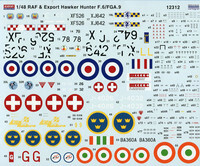 RAF 54 Squadron, Hawker Hunter FGA,9, XJ642/L, 1967. Dark Green and Dark Sea Gray over aluminum. Swiss Air Force "Patrouille Suisse" Aerobatic team, Hawker Hunter F. Mk. 58, J-4026 or J-4032, early 1990s. Dark Green and Dark Sea Gray over aluminum. "Red G," Swedish Air Force Acro Hunters, Hawker Hunter F. Mk. 58, J-34, Västerås Airshow 2014. Forest Green over Blue Gray. This is a good kit. It will give a good account of itself in the hands of a skilled modeler. I would recommend some aftermarket items, such as a resin ejection seat and wheels. 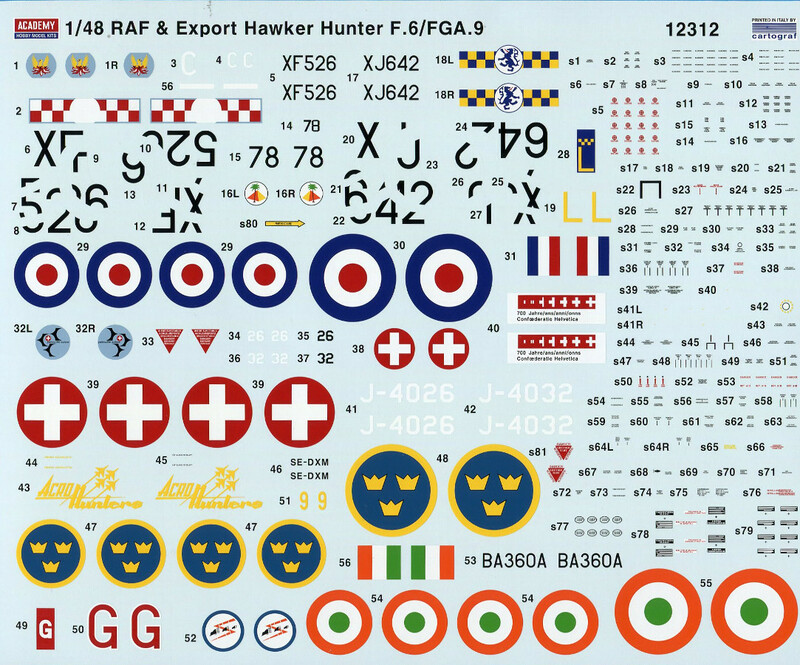 The Hawker Hunter was a graceful, modern fighter jet that served air forces all over the world. Academy's kit strikes a reasonable compromise between complexity and ease of construction. I recommend this kit and I would like to thank Model Rectifier Corporation for the review sample.